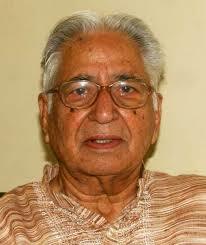 Balraj Puri was an institution in himself. In his decades-long career he donned various hats — that of an intellectual, a journalist, a social and political activist, a human rights crusader and a keen political analyst. He started his journey as a young student at a time when Jammu & Kashmir was undergoing political transformation and an anti-feudal movement was on. Representing the progressive voices of the Jammu region, he continued to be associated with progressive politics throughout his life. He was a one-man army who could deftly handle a tense or communally sensitive situation; shoot off a letter to a State or national leader, bringing to their attention a matter of utter importance; or organise a dharna or peace march whenever the situation demanded. Balraj Puri’s strength, however, lay in his extremely sound political analysis of the complex issues confronting the State. With rare insight into the various intricacies and layers of politics in the State, his writings, spanning over seven decades, are one of the best documentations of Kashmiri politics. In a politically divided Jammu & Kashmir, he was one among the very few who spoke for the whole State. While he empathised with Kashmiris in their struggle for democracy and justice, he also stood for the cause of other regions and their political empowerment. His understanding of the Kashmir issue — especially the democratic debacle, the crisis of civil liberties and the implications of the Centre’s intrusive politics — was unparalleled. However, while advocating the restoration of democratic and federal spirit in Kashmir, he emphatically advocated the cause of regional autonomy of Jammu and Ladakh. The logic of autonomy as guaranteed under Article 370, he argued, could not stop at the level of the State and needed to be further carried to the level of regions, districts and panchayats. His contribution to the understanding of the conflict lies in his emphasis on the pluralities, the diversity and the political divergence within the State. Jammu, in his opinion, was a clue to Kashmir tangle and till political sensitivities of the region are not incorporated into the larger question of Kashmir, the conflict may not be resolved.